America could end. Really? This great republic might go the way of Ancient Rome if we are not careful. We know that the nation stands on a shaky foundation( stolen land, stolen Africans) but it’s still the best country in history. In the Democrat Party, we have a division of Real Liberals/Progressives vs. Black Rural Clean Cut Southerners. First of all, this writer thinks of the Dem Party as the party of inclusion while the GOP is the party of exclusion/marginalization. My Republican friends generally feel they know what is best for everyone—with limited input from everyone else. I grew up in the Dem Party that included New England and West coasts liberals, Blacks, working class union members, and White Dixiecrats. Those Dixiecrats were still mad that Republican Lincoln reluctantly freed the slaves. Hillary Clinton lost the election because the Dems didn’t court Black southerners or working class rural Whites. Remember, Blacks are the back bone of the Dem Party from Virginia to Texas. But, the D.N.C. spent most of their time trying to get undocumented Latinos citizenship so they could vote in bloc for the blue. The DNC is about the business of convincing the heartland to agree with liberal policies rather than listening to our brand of moderation; that moderation is the only hope of getting back the working class White vote. To Trump’s credit, he was all ears for blue collar voters who are struggling because Trump’s corporate buddies shipped their jobs overseas. Dilemma: The southern Black rural agenda isn’t important to either major political party. The national Dems are siding with Socialist Bernie Sanders. While dude is a cool guy, give me, give me, give me isn’t the answer for Black America. I will give you what you need and it won’t’ cost a penny in federal spending. You need to carry yourself in a way that doesn’t depend on who is in the White House or governor’s mansion. This self-reliant mentality is rooted in Black nationalism from Marcus Garvey to Malcom X to surprisingly Justice Clarence Thomas. In the 2018 elections, the Dem will be D.O.A. if they don’t come up with something fresh for my community. We need to build a network of trendsetters who ensure that the message is clear and plain and that we know the importance of voting. Of course, this bloggers thinks it starts with ideas and concepts outlined in https://bestinterestsinitiative.wordpress.com/long-term-bii/ . It took a series of missteps and errors for the Dems to drop the White House with a quality candidate like Hillary Clinton. If the Dems Team doesn’t appreciate the rural moderates and centrists, we might need to explore swaying elections in the Republican primaries because their candidate selection process seems to be based on arrogance and superiority. When there is no action in the Dem primaries, I vote in the GOP primaries to assist their more reasonable candidates. Remember, the Black voting power in the South could sway most elections. Yes, America could end if we aren’t careful and the fall will started when too many Americans feeling the nation isn’t fair for them. 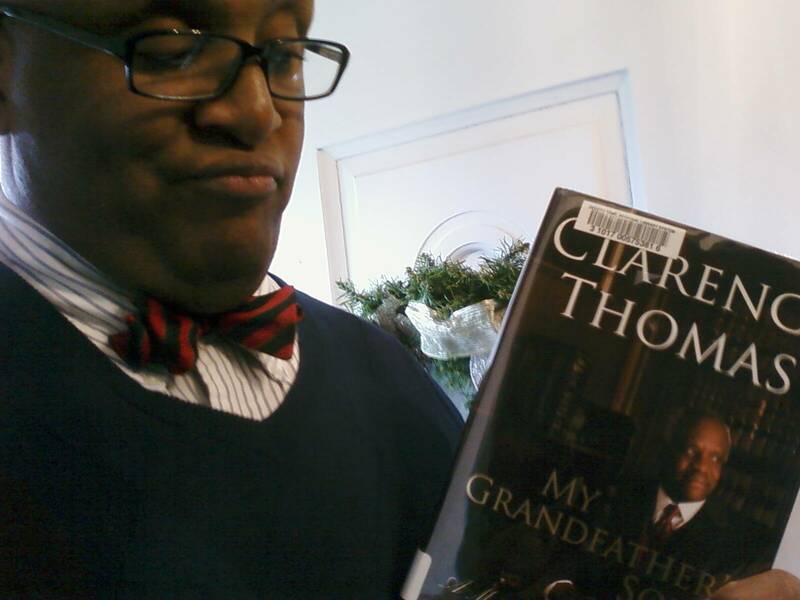 I just finished reading Clarence Thomas: My Grandfather’s Son and now feel that Justice Thomas could be the most misunderstood brother in America. Grandfather Myers Anderson’s story could have been the story of any southern striving Black man before 1970 and reading the parts of this book about him was like reading about my father’s stern daddy. Those men didn’t play because they couldn’t play. Playing meant your family didn’t eat and/or you might get dead. My daddy called everyone “good brother” and he would have enjoyed talking about the bad old days with Justice Thomas. Clarence Thomas was one angry Black man. The strict ways of his grandfather were Machiavellian and prepared Thomas for years of hard academic and professional work. I was surprised to learn that Thomas was basically broke for most of his adult life—including his years as head of the EEOC. So, the guy was a Holy Cross and Yale Law grad who drove old Volvos and lived paycheck to paycheck. Of course, he could have jumped into corporate law fully and gotten paid but he was driven by the desire to help our people. Really. Helping his people for Thomas centers on Mr. Anderson’s belief that Blacks must work hard, stay upright and avoid government involvement. There it is: Thomas isn’t a sellout, he is the opposite. Clarence Thomas was a radical in college who spent time listening to the self-help teachings of Black Muslims and others in the Black nationalism movement. To them, the road to Black empowerment led away from government assistance and dependency. As a Hill staffer, I stood in the back of the Thomas confirmation hearing for about 30 minutes. To be honest, I went there to see if Anita Hill’s lips were as nice in person as on CNN….they were. 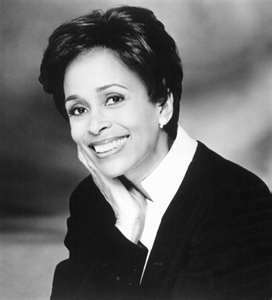 Actually, I stood next to Faye Wattleton of Planned Parenthood who was a fashion model back in the day. She towered over me and rolled her eyes as if to say, “stop looking at me and pay attention to history.” Was I harassing sisters Hill and Wattleton? Not really. Nor was Thomas harassing Hill in the office in my opinion. Look, we all say things at work with a general understanding that technically there might be an issue if we didn’t have said understanding about the temperament of the workplace. In my opinion, activists groups on both sides used Thomas and Hill as pawns in the Roe vs. Wade abortion fight. If Thomas said anything wrong to Hill, she wouldn’t have asked to move with him from the Department of Education to EEOC. This book for me wasn’t about the Supreme Court confirmation hearings. It was about a form of Black conservatism that still needs to be nurtured and developed. Maybe, Thomas getting on the Supreme Court pulled one of our greatest Black thinkers away from the next movement. Clarence Thomas and Rev. Jeremiah Wright are two victims of media witch hunts and this nation is worst as a result. Both gentlemen could have a lot to say to all youth about evading governmental involvement in their personal lives. Who would have thought that Thomas was down with Louis Farrakhan’s self-help principles but had to admonish him because of his anti-Semitism. On Public Enemy’s “Don’t Believe the Hype,” Chuck D said, “the follower of Farrakhan….don’t tell me that you understand until you hear the man.” Chuck was right and don’t tell me that you understand brother Thomas until you hear him and know that he might hold one of the keys to improving Black America through a returning to our southern roots and ethics. What do you call that? It’s called Black conservatism or moderation. Before it’s all over, Clarence Thomas, Jeremiah Wright, President Obama, Sanford Bishop, Harold Ford, Jr. and that Thomas Sowell guy should sit down at table of brotherhood to outline a plan for success based on the teachings of their fathers and grandfathers. May I please come? p. 25 From time to time we slaughtered one of the forty or so hogs we kept. Daddy (grandfather Myers Anderson) would shoot in the head with his .22 rifle, then cut the jugular vein to bleed out the carcass. We then placed it in a fifty-five gallon barrel half full of water, set into the ground at an angle and surrounded by fire. We slid the hog in and out of the barrel, scraping its skin to remove the coarse hair. Daddy cut the hog open from tail to head, and its guts fell into a tub placed underneath the carcass. We saved nearly every part of the animal, making fresh crackling from the skin and using the intestines for chitterlings. Portions were given to friends and relatives, while the rest went into the freezer to be saved for a rainy day. Daddy always seemed to be preparing for rainy days. Maybe that’s why they never came. p. 73 (John Bolton) “Clarence, as member of a group that has been treated shabbily by the majority in this country, why would you want to give the government more power over your personal life?” That stopped me cold. I thought of what Daddy had said when I asked him why he’d never gone on public assistance. “Because it takes away your manhood,” he said. “You do that and they can ask you questions about your life that are none of their business. They can come into your house when they want to, and they can tell you who can come and go in your house.” Daddy and John, I saw, were making the same point: real freedom meant independence from government intrusion, which in turn meant that you had to take responsibility for your own decisions. When the government assumes that responsibility, it takes away your freedom – and wasn’t freedom the very thing for which Blacks in American were fighting? p. 93 One thing I’d learned at Yale was how to study for a tough exam: John Bolton had taught me the secret of distilling all the material in a course into a secession of shorter and shorter outlines, ending up with a concentrated super-outline that fit on a single index card. p. 97 One of the older attorneys in the office had told me that while it was sometimes excusable not to know all of the law, there was never any excuse for not knowing the facts. p. 101 I learned two lessons that morning. The first one was that honesty is what you do when no one is looking. The second one was more important, so much so that I came to think of it as a defining moment in my ethical development: my needs, however great they might be, didn’t convert wrong to right or bad to good. That man’s (found) wallet wasn’t mine, no matter how much I needed the money or how rude he happened to be. I often had occasion to remind myself in years to come that self-interest isn’t a principle – it’s just self-interest. p. 106 Never before had I seen my views stated with such crisp, unapologetic clarity: the problems faced by Blacks in America would take quite some time to solve, and the responsibility for solving them would fall largely on Black people themselves. It was far more common in the seventies to argue that Whites, having caused our problems, should be responsible for solving them instantly, but while that approach was good for building political coalitions and soothing guilty White consciences, it hadn’t done much to improve the daily lives of Blacks. Sowell’s perspective by contrast, seemed old-fashioned, outdated, even mundane – but realistic. It reminded me of the mantra of the Black Muslims I had met in college: Do for self, brother. p. 130 I saw no good coming from an ever-larger government that meddled, with incompetence if not mendacity, in the lives of its citizens, and I was particularly distressed by the Democratic Party’s ceaseless promises to legislate the problems of Blacks out of existence. Their misguided efforts had already done great harm to my people, and I felt sure that anything else they did would compound the damage. Reagan, by contrast, was promising to get government off our backs and out of our lives, putting an end to the indiscriminate social engineering of the sixties and seventies. I thought the Blacks would be better off if they were left alone instead of being used as guinea pigs of the foolish schemes of dream-killing politicians and their ideological acolytes. Keep a clear eye toward life’s end. Do not forget your purpose and destiny as God’s creature. What you are in His sight is what you are and nothing more. Do not let worldly cares and anxieties or the pressure of office blot out the divine life within you or the voice of God’s spirit guiding you in your great task of leading humanity to wholeness. If you open yourself to God and his plan printed deeply in your heart, God will open Himself to you. p. 204 “What is my role in this case- as a judge?” It was the best piece of advice I received, one that became central to my approach to judging. In the legislative and executive branches, it’s acceptable (if not necessarily right) to make decisions based on your personal opinions or interests. The role of a judge, by contrast, is to interpret and apply the choices made in those branches, not to make policy choices of his own. p. 219 I’d been attracted to the Black Muslim philosophy of self-reliance ever since my radical days in college, and I’d made my favorable comments about Minister Farrakhan in the early eighties, at a time when I was under the mistaken impression that he’d abandoned his anti-White, anti-Semitic rhetoric in favor of a positive self-help philosophy. I lie among ravenous beasts- men whose tongues are sharp swords. They spread a net for my feet- I was bowed down in distress. They dug a pit in my path – but they have fallen into it themselves. p. 254 Perhaps I would have to renounce my pride to endure this trail, even as Cardinal Merry del Val had prayed for deliverance in his Litany of Humility: Deliver me, O Jesus, form the fear of being humiliated…from the fear of being despised…from the fear of suffering rebukes…from the fear of being calumniated. p. 279 When Joseph (in the Bible) returned from the enslavement into which his brothers had sold him, he told them, “You meant in for evil, but God meant it for good.” Perhaps the fires through which I had passed would have a purifying effect on me, just as a blast furnace burns the impurities out of steel. I already knew that they had brought me closer to God, and I asked Him, as I had so many times before, to help me resist the temptation to hate those who had harmed me.